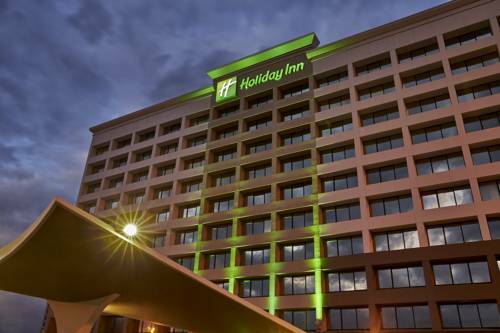 Guests Love this new Alexandria, VA Hotel's Central LocationThe Holiday Inn Alexandria at Carlyle welcomes each guest to its convenient location off the Capital Beltway / I-95. Our charming, full-service hotel is just a block from the Metro for fast & easy travel to Old Town Alexandria, Reagan International Airport (DCA) & the Washington, DC area.This hotel's location in Alexandria, VA pleases travelers who want the excitement of a big-city vacation & a friendly neighborhood atmosphere. Alexandria is minutes from popular DC attractions like the Smithsonian Museums, the Lincoln Memorial & George Washington's Mount Vernon Estate and Gardens. Head to the historic waterfront in Old Town Alexandria to stroll cobblestone streets or dine in a historic tavern.This Alexandria hotel is ideal for corporate travelers. We're near Michael Baker Engineering, Hoffman Town Center, the US Patent &Trademark Office and other businesses in the DC area. We offer FREE local shuttle service and FREE parking to all guests to save money on travel costs. We offer ample meeting space, free high-speed, wireless Internet access & a 24-hour Business Center.Our quality amenities make us a standout among hotels in Alexandria, VA. After a day of sightseeing, slip into the heated, indoor pool to unwind or work out in the Fitness Center; then enjoy a cocktail & appetizers at Bistro Eighteen90. You'll be charmed by historic Alexandria & this hotel. A perfect room for meetings and breakout room. Ground level access from the outside if required. Central location within the hotel. Perfect location for meetings and events. Ballroom foyer leads to outdoor Patio with cabannas. The Mount Vernon I Room offers 600 sq ft of meeting space. Perfect for Boardroom Style and Office Meetings! An ideal room for meetings, weddings and special events. - Washington DC Convention Ctr. Now owned by the Smithsonian, and protected behind plexiglass.